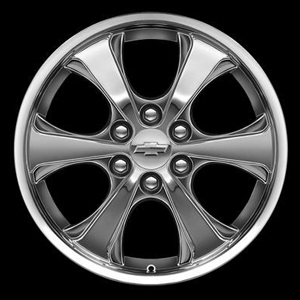 Personalize your Silverado with these 20-inch 6-Spoke-Flared chrome accessory wheels. All Chevrolet wheels are available with a choice of Chevrolet Bowtie center caps and chrome lug nuts. Use only GM-approved wheel and tire combinations.